ALBION, IN. – After several days of bitter cold, the Artic Cold Blast gives way to Hoosier Hysteria. 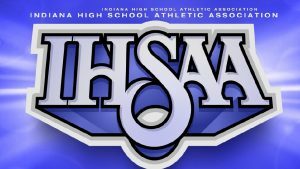 Some Indiana High School Athletic Association sectionals were able to start earlier this week, as scheduled. The Class 2A Central Noble Sectional will tip with two games February 1. Defending state champion Central Noble will face Westview at 6 p.m. LaVille will take on Bremen immediately following. The Lions defeated LHS 60-26 back on November 6. Whitko and Prairie Heights drew a first-round bye and will play Saturday. The Cougars have won 31 straight games, including the 2018 state title. Central Noble also boasts the third-best defense in the state, allowing just a bit over 30 points per game. The Lions have won seven of eight since the first of the year. With graduation hitting the Lancers hard, about 94% of the LaVille offense took a hit, Coach Duncan’s crew continues to work hard and make improvement. Trynitie Cox leads the LaVille offense with 7.8 points per game, is the top rebounders at 10.3 boards per game, and has 29 blocked shots. Julia Hall is second in scoring at 6.6 ppg and 4. 7 rpg. “Our sectional is tough,” said Duncan. “The defending state champs, Central Noble, are undefeated, Westview who’s had a great season will contend, and obviously Bremen. Prairie Heights and Whitko both got byes and that could prove to be an advantage depending on how the weather plays out. Game 1: Central Noble (22-0) v. Westview (14-8), 6:00 p.m.
Game 2: Bremen (17-6) v. LaVille (5-17), 7:30 p.m.
Game 3: Whitko (5-17) v. Central Noble-Westview Winner, 6 p.m.
Game 4: Prairie Heights (7-15) v. Bremen-LaVille Winner, 7:30 p.m.
Game 5: Sectional Championship, 7 p.m.
3. IHSAA instructions allow free entry to preschool children only. Any other personnel not arriving with the team must have a ticket. CONCESSIONS: Will be provided during all sessions. 1. Balloons, banners, and / or posters, etc. are not permitted. 2. Cowbells and other noise devices (including thundersticks) are not permitted. 3. Line-up lanes of fans shall not be permitted on the playing floor. 4. The throwing of articles, including toilet tissue, is not permitted. 1. Sportsmanlike conduct will be expected of all spectators at all times.